MTW European Trapezium Grinding Mill has arrived thegrinding mill machine top technical level in the world with many patented technologies. According to the experiences and suggestions from 9518 customers, ZENITH ---Professional Grinding Mill Manufacturer, has made great efforts to bring MTW European Trapezium Grinding Mill into the world. 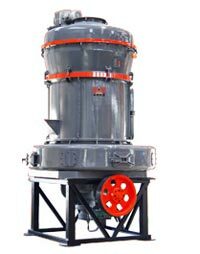 MTW European Trapezium Grinding Mill is mainly applied to the powder processing of mineral products in industries of metallurgy, construction, chemistry, and mining etc. The grinding mill machine can produce powder from non-flammable and non-explosive mineral materials�� such as barite, limestone, quartz, calcite, granite, porcelain clay, basalt, gypsum etc. 1. The bevel gear transmits in a whole, which makes the Grinding Mill Machine's structure more compact, installation and commission more convenient. 2. The internal oil pump of the Grinding Mill Machine can lubricate the bearings both in main shaft and bevel gear shaft, without connecting any external oil pump or lubrication station. 3. Former straight wind tunnel in the traditional grinding mill machine is replaced by curved one. 4. Sheet of the shovel is easy for change, and cyclone collector in isolated type. 5. Porthole adopts smooth wind spiral, which also gives the grinding mill machine a very beautiful appearance. The edge of MTW European Trapezium Grinding Mill produced by Grinding Mill Manufacturer---ZENITH , adopts wearable alloy materials which improve the Grinding Mill Machine's service life. The Changeable edge is easy to change the save time and cost. The grinding mill machine adopts insolating structure between the inner core and mixed air flow that improve the classifying efficiency and precision.